The conference, Energy Grid Cybersecurity: Threats & Solutions, is co-sponsored by the Siebel Energy Instituteand the Siebel Scholars Foundation, and will be held in Washington, D.C., from Friday, March 3 through Sunday, March 5, 2017. 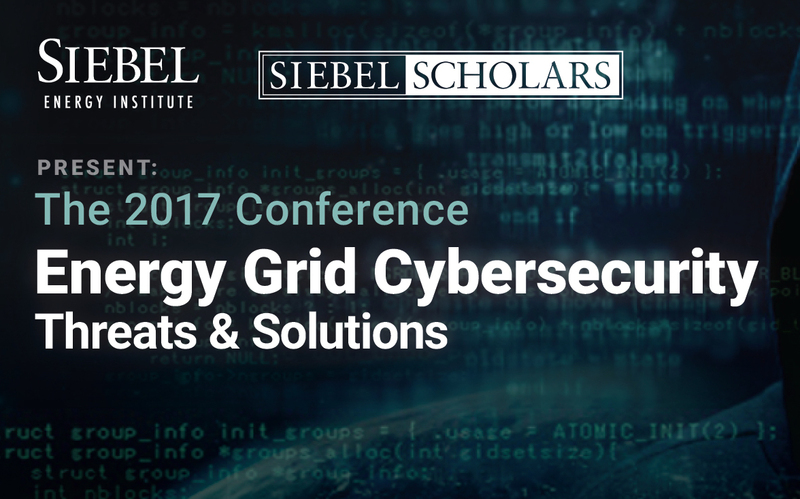 Leading experts in energy, cybersecurity, and government policy will examine threats to the power grid and devise solutions for increasing the resilience of energy networks and other critical infrastructure at the 11th Siebel Scholars conference. This article was originally published by Business Wire.